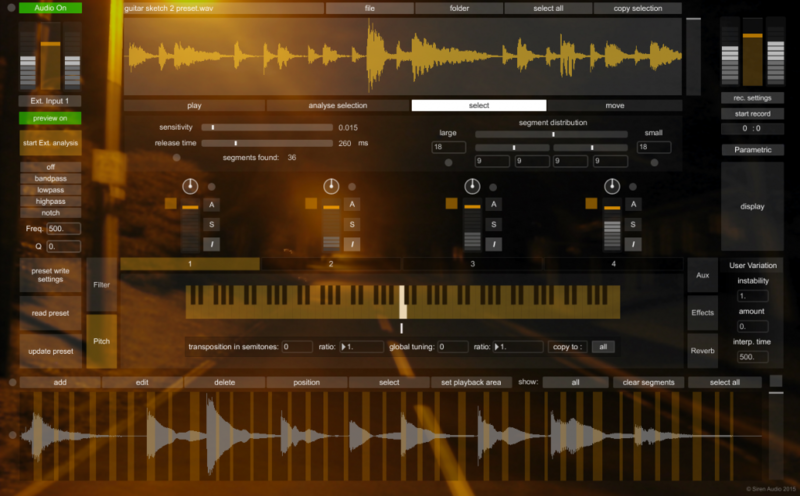 Siren Audio recently released version 2 of their critically acclaimed audio software tools, Feedback and Generative. 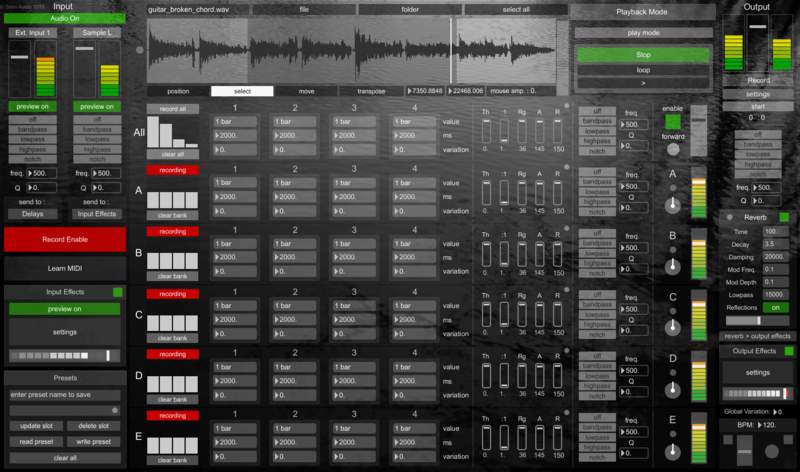 Originally a part of the Lorelei Suite which they released back in 2011, these stand-alone applications are developed using Max/MSP and give the user a chance to create drones and evolving audio textures very easily. In this review, I will be using audio and video demonstrations to show how you can use these applications to create various soundscapes, drones etc. musical and otherwise. For more information about the full capabilities of these tools please make sure to check Siren Audio’s official website and YouTube channel in which you can find quick-start videos as well as in-depth ones that walk you through all aspects of the applications so you can be on your way to using them extensively in no time. 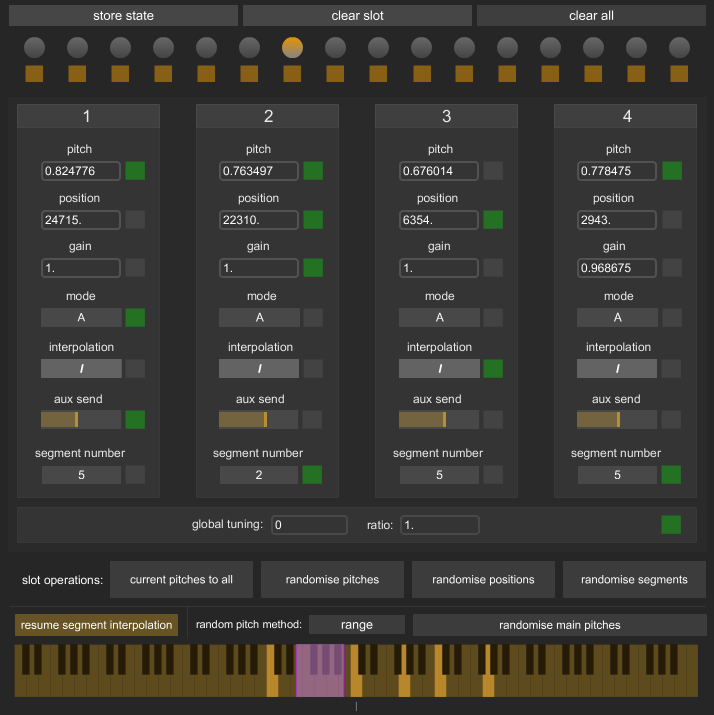 Generative 2 is a sample based granular synthesizer in which you can create soundscapes by manipulating and transforming any and every sound you can think of. You have the option to use an external input or to open an already existing audio file in the application. It has four granular devices to create unique audio streams by adjusting the pitch, gain and filter settings independently. Aside from the flexibility these devices present, you can also use external controllers to trigger midi data to control the audio environment in real-time. Now after this short introduction, let’s see Generative2 in action. In this section I will be using the piano lid movement sound to create various sound design elements. As you can see it is very easy to select the whole file or just a part of it, by pressing the “analyse selection” button, you let Generative 2 automatically create sample segments to use for granular synthesis. In addition, you can adjust the segment detection sensitivity, choose the segment distributions between the four devices or edit, delete or add custom segments manually to create more variation and randomization in sample segments. For even more control, you can choose to create user-defined playback areas for the devices. All you need to do is change the playback mode from A (automatic) to U (user) in the device you want to control and you will be able to see which is operating in which playback area by the assigned colors. Ease of use is present yet again when employing reverb and filters in Generative2. In addition to using different set of filters in the main input and output, you can also use up to four different filters in each device and add a reverb and two additional effects such as delay and distortion to the main output. 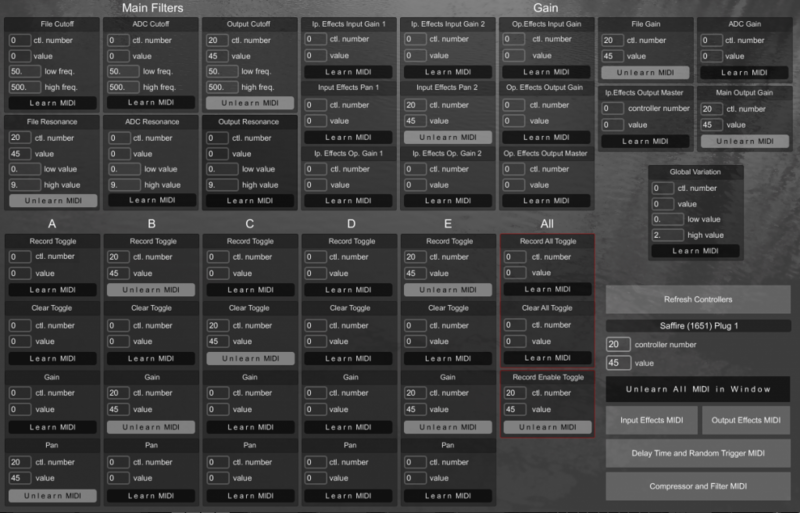 Siren Audio uses Tim Place’s (from C74 Objects) reverb and filters and they sound really good, but if you want to use other plugins with your creations, you can always export the dry audio and then put additional effects in your DAW of choice thanks to Generative 2’s comprehensive export settings. Generative 2 has a lot more to offer than is possible for me to demonstrate in this review, but States function deserves a special mention here. Thanks to this feature, now you can create distinct states with separate values for all of the parameters in each of the devices and then switch between these states easily whenever you want to create more complex sound structures. Until now, we have only seen examples using the piano lid movement sound, however I want to wrap this part of the review with a more tonal example using a part of the piano riff I mentioned before. Generative 2 really shines when it comes to creating drones by using minimal tonal material. With just a few notes you can easily create ethereal and atmospheric drones and pads in Generative 2. 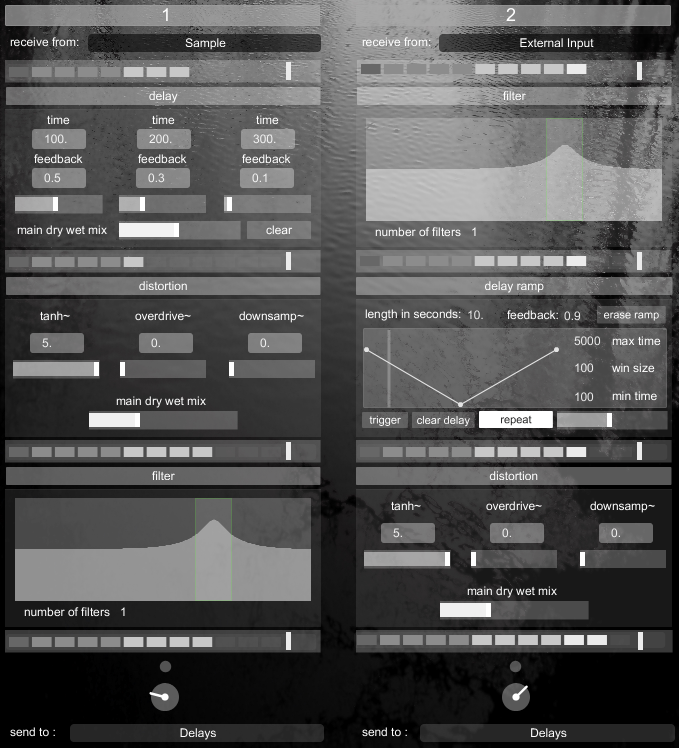 In summation, if you are looking for an audio tool to create tonal drones and textures easily, and design randomized sound effects using minimal material, Generative 2 is a bargain at this price. Its user interface is very similar to Generative 2 with input and output sections and the way the file browser is setup. However it differs in the main section which includes five separate delay banks (A,B,C,D,E) with four delays in each of them and a general delay bank control section named All in which you can control the length, amplitude and various other parameters of all delay banks. Another difference is in the input and output effects section views; Feedback 2 supports input effects such as distortion, filters and delay ramps and you can add these to an audio sample of your choosing, an external input or a combination of the two signals simultaneously. This sort of flexibility in choosing various inputs and being able to add included effects in any part of the signal chain is one of the strongest aspects of Feedback 2 since it allows you to control and manipulate the sound even more and layer dry and wet signals however you like. In addition to controlling the timbre of the sound with various effects, you can get the most out of the material you are using with various playback modes. While play free mode enables you to stretch the sound selection depending on the time frame you choose, you can granulize the samples with grain mode or use the sampler mode to create loops easily. One of the biggest strengths of Feedback 2 lies in the way you can adjust various delay times in each of the four delays that are available in delay banks. You can choose between numerous settings, such as 1 beat, 1 bar etc. or just enter the time in milliseconds. As you can see not only the time value manipulation but also the way you can adjust the volumes of each delays separately enables you to create various sound effects in the same delay bank. Finally, both applications share some very important features like storing/recalling presets, recording the output in numerous ways as well as midi controller support that makes these applications even easier to use after assigning midi controls to functions however you like. Like its sibling Generative 2, Feedback 2 has a lot more to offer than is possible to cover in this review, but long story short, both applications offer wonderfully intuitive and easy ways to create sound effects, drones and textures using a minimal amount of material. Furthermore, thanks to the amount of control and randomization built-in, sometimes they might lead you to new sonic possibilities that you weren’t aware of, which is a truly great feature in itself. Feedback 2 is £25 and Generative 2 is £30 and a bundle for £50 is available from Siren Audio. A copy of both applications was provided by Siren Audio for review purposes. Applications were tested in Windows 7 and OS X Mavericks, installation of Asio4All is recommended for smooth operation in Windows environment.